S.A.F.E Structure Designs, a global leader in the design, engineering and manufacturing of ergonomic safety first OSHA compliant aircraft maintenance stands, fall protection platforms, hangar equipment, portable field equipment and specialty tooling, announced that it has been awarded the contract to design, engineer, and manufacture custom maintenance platforms for the United States Coast Guard’s fleet of MH-65’s in Elizabeth City, NC. S.A.F.E. 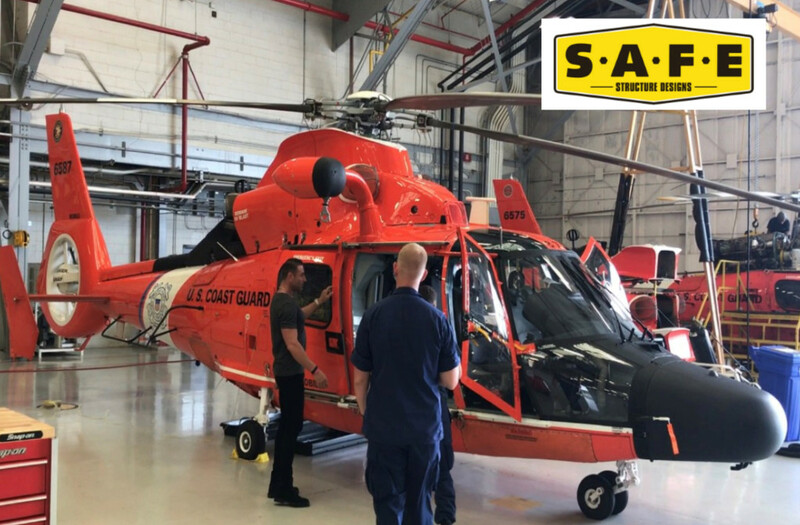 Structure has a long standing relationship with the USCG and consistently delivers top quality maintenance stands and hangar equipment that optimize safety, efficiency, and ergonomics for their mechanics. After working alongside Elizabeth City Coast Guard mechanics and safety team for more than a year on the design process to address their needs and challenges, S.A.F.E. finalized the engineering and begin manufacturing maintenance stands that will be used in the composite shop for mechanics working on the skin of the aircraft. “We value the importance of the United States Coast Guard because they play a key role in helping our country in catastrophic situations of survival,” states Johnny Buscema, president and CEO of S.A.F.E.